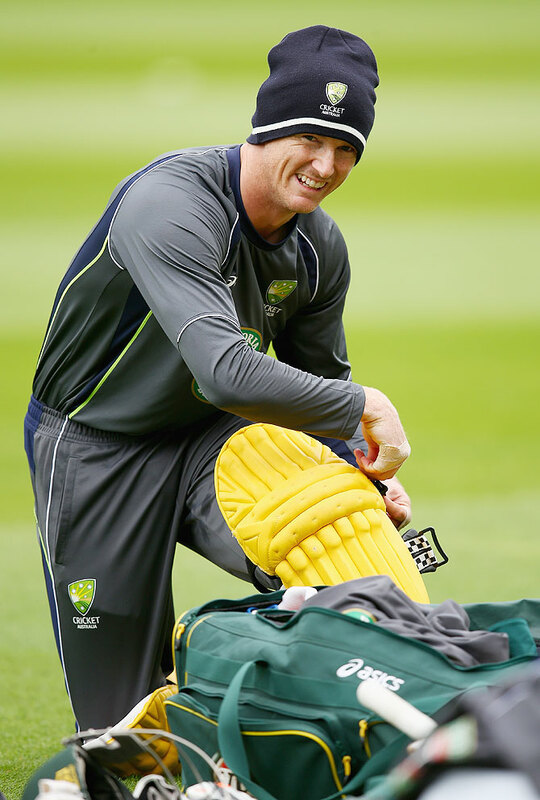 George Bailey has waited a long time to take his place at cricket's top table and the 31-year-old has no intention of being distracted by the debate over whether one-day form, however rich, justifies a Test call-up. The Tasmanian was not exactly a surprise inclusion in Australia's first Ashes Test squad on Tuesday, having been heavily touted as the best candidate to fill the vacant number six batting position for several weeks. The calls for his inclusion were fired by what chief selector John Inverarity described as his "extraordinary" form as stand-in Australia captain on the recently concluded one-day tour of India. Scoring 478 runs at an average of 95.6 demanded attention from selectors but it was as much his relaxed demeanour, calm leadership and humour that won over his compatriots. Some, most notably former Test captain Ian Chappell, tried to resist the tidal wave of opinion that appeared to be carrying Bailey inexorably towards a Test debut. A paltry average of 18 in Sheffield Shield cricket was contrasted with his 54.96 average in One-Day Internationals but Inverarity and his fellow selectors clearly decided that form was form whatever the colour of the ball. Bailey clearly has more than just a name in common with the irrepressible hero of Frank Capra's classic film "It's a Wonderful Life", and on Tuesday was looking resolutely at the positives. "I don't really think of it that way," Bailey told reporters in Hobart when asked about his lack of runs off the red ball. "It's just good form, so just hit the ball. It's the same approach and I feel very comfortable with where I'm at the moment." Coach Darren Lehmann pointed out that Bailey had not actually had the chance to impress in Sheffield Shield cricket this season because he had been representing his country in India. "He's exciting and he's in good form, he'll get his chance to have a real crack at it in the first few Test matches and I'm sure he'll do well," he told reporters in Brisbane, where the first Test starts on Thursday week. "He's a confidence player, he's experienced so he won't be overawed by the occasion and I think he'll have a good series." 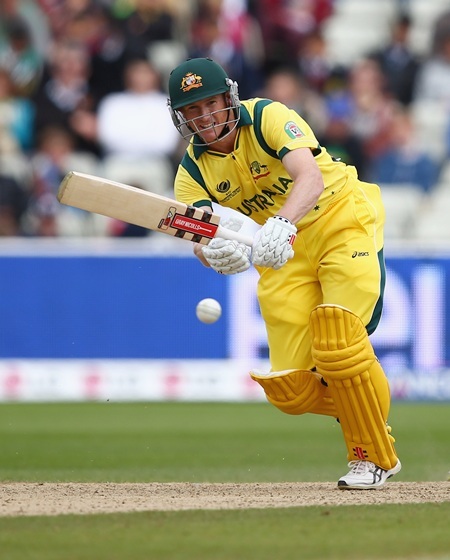 It is not the first time Bailey has been asked to step up into the unknown for Australia having never previously represented his country when he was named Twenty20 captain in 2011. He made his One-day debut in 2012 and grabbed his maiden century earlier this year against West Indies, smashing 30 runs off the last six balls he faced to pass the milestone with a six and reach 125 not out. 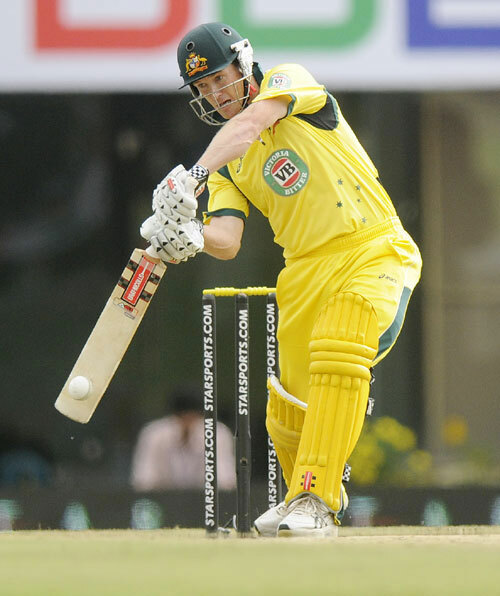 Bailey's second international century was a brilliant 156 from 139 balls in defeat to India in Nagpur last month, but even that was not enough to convince Chappell. "Bailey, despite his mountain of runs in one-day cricket, is a batsman who's restricted through the cover region, can be stifled by good spinners and is troubled by well-directed short-pitched bowling," Chappell wrote. "His moderate first-class record and those limitations are not a good template for a Test batsman." England, gunning for a fourth successive Ashes triumph over the next two months, will certainly Test that technique to the limits in Brisbane next week. "I'm as excited as anyone to find out how I measure up," Bailey said. "I'll just give it the best that I've got." When Bailey is handed his baggy green cap as Australia's 436th Test cricketer at the Gabba, it will end a long wait for such recognition for his family. His great-great-grandfather George Herbert Bailey was on Australia's first tour of England in 1878 but was not capped as the tourists did not play any Tests.